Manchester University Press, 9780719070945, 208pp. 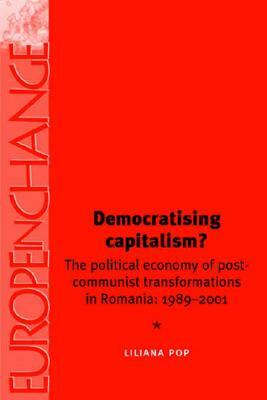 This book analyzes the two major components of the post-communist transformations in Romania that account for its new form of capitalism: the reconstitution of politics as democratic politics and the replacement of the plan by the market as the mechanism for economic co-ordination. Liliana Pop is Lecturer in Central and Eastern European Politics at Birkbeck College, University of London.